To schedule your photography appointment online, simply go to www.ucdir.com, click on schedule your photography session on the right side, enter nc189 in the Church Code field and enter ­­­­cbc189 the Church Password field. Follow the prompts to schedule your family’s appointment time. If you have 6 or more in your family please use 2 consecutive time slots. The online scheduling option is available Monday through Friday. Appointments fill up quickly, so schedule as soon as possible to secure your preferred date and time. 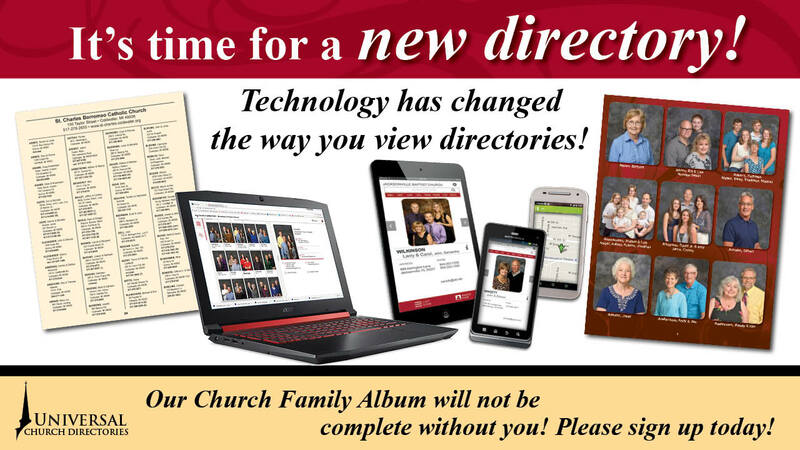 Each person who books an appointment will receive a free 8×10 photo and a church directory, with the opportunity to purchase other prints.